•	These are great options for new constructions. 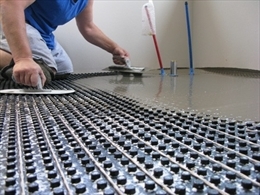 The tubing can be embedded in the floors when they are being constructed. •	In new constructions there is always the choice of increasing the thermal mass of floor system to increase efficiency of hydronic heating. •	As they do not need ducts for circulation of air, you are spared the trouble of cleaning and repairing the ducts from time to time. •	Ducts are one of the major hubs that foster the growth of mold and bacteria in the house. They often get infested with droppings and urine of rodents and vermin. These result in health hazards. With hydronic system you can bid adieu to the microbes and pest growing in the ducts and making their way into your living space. •	Hydronic system also does not depend much on a working fluid as water is dense and is a better good conductor of heat than air. As a result warmth is easily and evenly distributed throughout the house. •	Forced air systems create a pressure which pushes heat through nooks and crannies of the house. In the insulation of the house is in poor state, the energy loss can be conspicuous. •	Some systems even allow differential room heating. With these, the residents can change the heating level in any given room. Such a system, of course comes at a high cost. •	Hydronic system, if designed correctly and installed well, can be more efficient than forced-air system. They do not lead to loss of heat as happens in forced air system. They also do not require blowers to circulate hot air into the rooms. However, some systems may have a large pumping requirement, which reduces efficiency. •	Unlike a forced air systems, hydronic systems do not bring in allergens and dust, and carries it throughout the house. They keep the quality of indoor air high. Filters are not necessary for these systems. You are spared the task of changing filters every month. 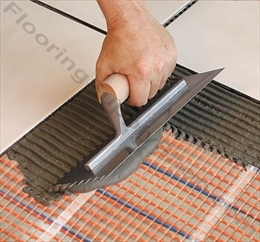 •	Hydronic piping can be embedded in the walls and floors and easily routed around the home. Thy do not eat into the usable square footage of the house. •	Hydronic systems are not good for retrofit constructions. In fact installing one in old houses could be an expensive project. •	They can only circulate warmth and not coolness. A forced air system can do the both. However, some homes may combine heating and cooling into a single hydronic system using a chiller boiler. This can be expensive.